Six months ago Jerry Yang took the stage at the D Conference to talk about the state of his business. He painted a picture of a Yahoo that was spinning in circles with no clear future. Fast forward six months and nothing has changed. Except Yahoo has been left at the altar as Google walks away from their Yahoo search marketing deal. Except that most of Yahoo’s top managers have left the company. What are they left with? A CEO that still can’t clearly state the core goals. Yang, slouched on stage and devoid of energy, alternated between calling Yahoo a platform company and a destination site. But he also said that Yahoo intends to remain competitive with Google in search, despite the vast differences in resources that the two companies can put towards research. Yang’s hopes are pegged to their YOS strategy to embrace third party developers and turn things like search into web services. Perhaps it’s the delivery, but the message isn’t getting through. The audience was left wondering how much longer this CEO has before the company is torn apart from within. Or by outsiders. What Yahoo needs is a new CEO. They need their Barack Obama – someone to make everyone believe that a true leader is at the helm, ready to fight. Someone with a believable plan. Someone who can inspire Yahoo, and Yahoo users, to believe that Yahoo can once again become a force on the Internet. 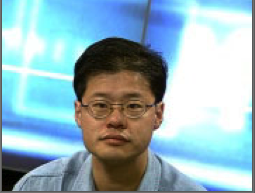 That leader is not Jerry Yang. It’s long past time for change.